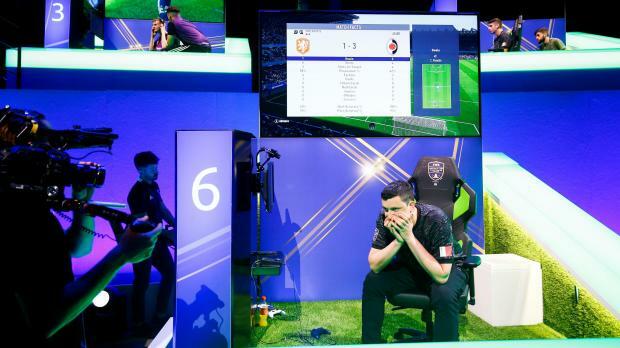 A Maltese gamer has made it to the final four of the 2018 FIFA eWorld Cup, guaranteeing himself a $20,000 payday in the process. Kurt Fenech, who plays using the username ‘kurt0411’, beat the 2017 world champion ‘gorilla’ to make it to the Xbox One category final of the prestigious e-sports competition, in which gamers face each other in games of FIFA 18. Sporting a Malta flag on his sleeve, Mr Fenech won the first leg 4-1 and held on to qualify on aggregate despite going down 0-1 in the second leg. He will now face Saudi gamer ‘MsDossary’ in the Xbox One world cup final, which will be played over two legs. The winner of that game will go on to face the Playstation 4 category competition champion, to determine the world’s best FIFA 18 player regardless of console. Mr Fenech will play 'MsDossary' on Saturday afternoon, with the grand final taking place later that evening. The winner in Mr Fenech’s match-up will be guaranteed a $50,000 prize and a shot at the $250,000 reserved for the overall champion. But even if he loses, the Maltese champion will pocket $20,000. Times of Malta had first written about Mr Fenech back in 2016, when he was harbouring dreams of becoming a pro gamer. “Winning is my objective,” he had said at the time. Two years on, he is two match-ups away from being able to call himself the best FIFA 18 player in the world.